It has been a busy few weeks since Bloom 2013 but I am finally getting to catch up with writing all the posts I have stored up in my head. I think I must dedicate my first post to a small postcard garden that really caught my attention. I must say I wish Bloom had come a few months earlier as this garden and the photos I took would have come in very handy for the guest blog post I wrote for Country Life. The community garden, which was designed by the lovely Sandra Austin to promote and educate people about the work the Community Garden Network do. 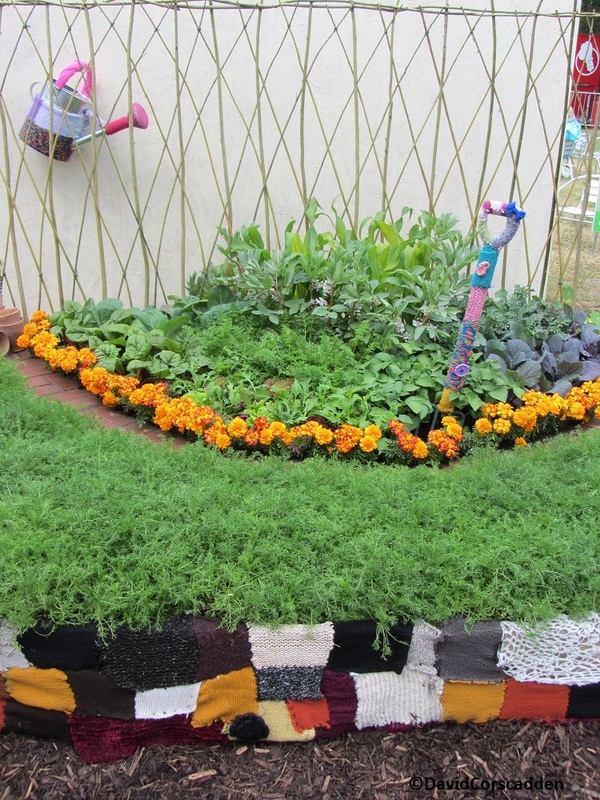 One big feature about the garden is the Yarn Bombed items throughout the garden. The idea behind these features is that they are all unique but come together with a common purpose, just like all the community gardens that Sandra and the team behind Community Garden Network work on. 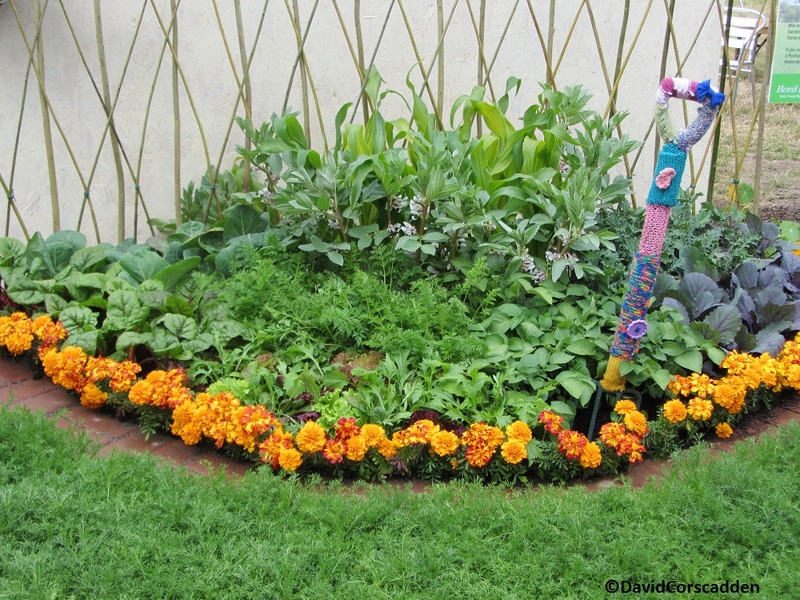 One of my ultimate favourite parts of this garden was the fact all the plants used in it are edible. This feeds perfectly in to the article I wrote a few months ago on plants that you can grow in your garden that look great and are edible. 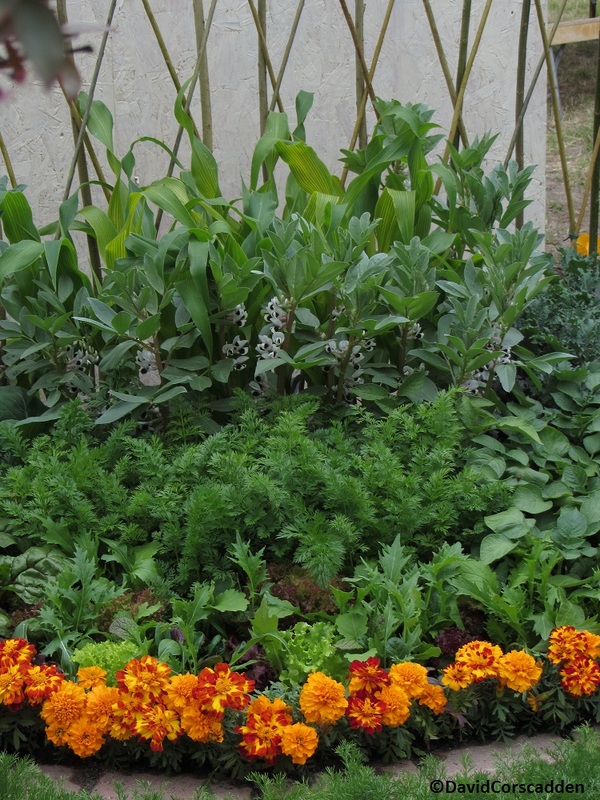 This garden shows perfectly how a garden can be beautiful and give you something back in return for growing them. To learn more about the background to this garden and the work that went in to getting it in to Bloom make sure to read this blog post from Greenside Up. One other highlight of going to see this garden was the fact I finally got to meet the lovely Dee from Greenside Up who was working at the garden promoting the work of the network when I called over. Thanks for the link David, it was both educational and enjoyable to be involved with a Bloom garden right from the beginning, watch this space for next year! Edible gardens are where it’s at! This one looks really great!